At Le Bon Marché rive gauche, from February 24 to April 1, 2018, nearly 130 brand logos can be found in the form of stories, declassified, dressed or seasoned capsules collections that have been specially designed. Within this perspective, the brands were invited to re-create their identity, rethink their symbol, and why not shift it, amplify it, divert it… A white card logo, in short. Le Bon Marché gave the rule of the game: "Do what you like with your logo. Be yourself, be different, be exclusive." 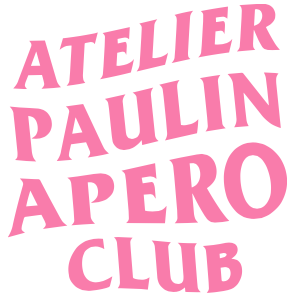 Come and discover our second logo directly at Le Bon marché and you will see how Atelier Paulin has reinvented them on irresistible and original products that appeal to the summer, and we need them...! Let's go logo! A transversal and playful exhibition of products in limited edition and soon to be collected. To be found in exclusivity at Le Bon Marché rive gauche and on 24 sèvres from 24th February to 1st April 2018.